Mmmm, muffins. What a great snack they make 🙂 especially straight out of the oven and if they are healthy. With a base of wholemeal flour, lots of fruit, low fat dairy and minimal amounts of sugar and oil, these muffins are moist and delicious, low GI AND a healthy choice! Muffins are typically best on the day they are made, so I freeze any extras. I prefer to wrap them individually in glad wrap. I can then grab one out of the freezer, add it to my “lunch box” and it will be thawed ready to eat by morning tea time. I also tend to make my muffins quite small, well small when compared to those that you normally get in a cafe. I find a small muffins just as satisfying as a larger one! I used over-ripe bananas in this recipe. 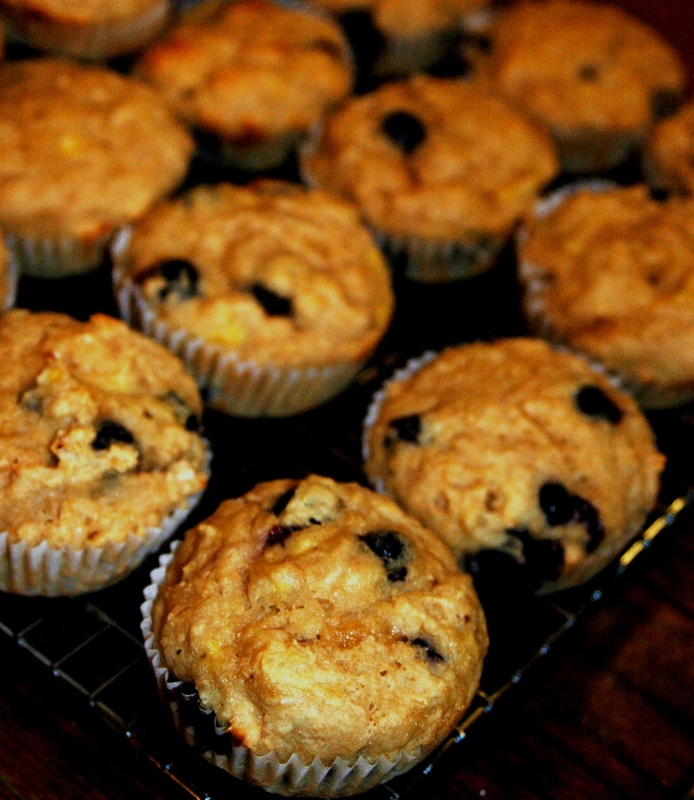 Over-ripe bananas are best used for muffins and cakes not only as they are easier to mash, but their flavour intensifies as the starch is converted into sugar. They also help your muffins or cakes to rise more. If I ever have over-ripe bananas and do not want to use them straight away, I peel them, wrap individually in glad wrap and freeze them. They only take around 20 minutes to thaw. Into a large bowl, sift the flour, then add the sugar and blueberries. 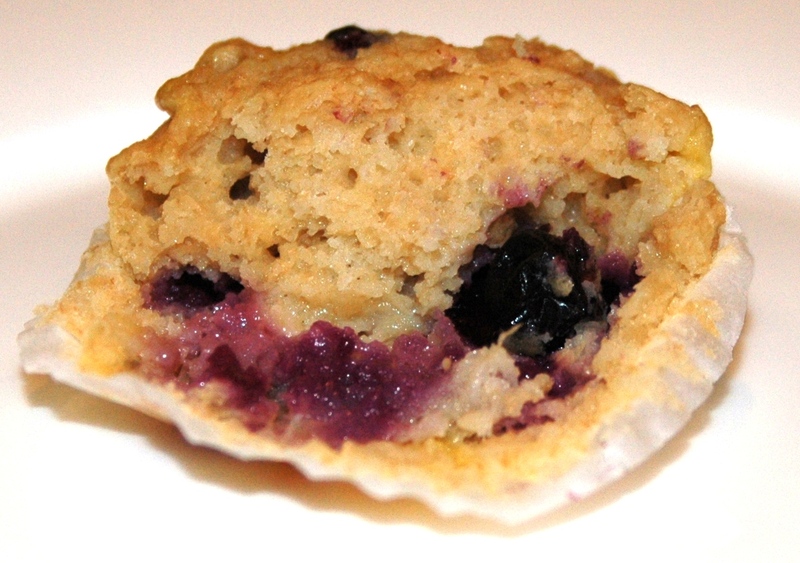 Toss blueberries to coat well with flour (this helps to evenly disperse them through the muffins). In a medium sized bowl, whisk the egg with a fork. Add oil, yoghurt, milk, vanilla and bananas and whisk until well combined. Pour egg and yoghurt mix into flour mixture and using a large spoon, fold in until JUST combined (over mixing will make muffins tough). Spoon mix into prepared pans and bake for 12-15 minutes or until firm when pressed lightly on top. Each delicious muffin has a mere 98 calories and nearly 2g of fibre…YUM! Hi – I just wanted to let you know that I make a batch of these most weekends. Sarah Dacres-Manning is my dietician and she recommended this site. They are a great arvo snack. I am always looking for new and healthy recipes. Please keep posting recipes!